A representative garage full of things. I have been thinking lately about why we hold onto old things. My wife showed me pictures the other day of my boys when they were very little. I had forgotten how small they were, and was reminded of the places we had been. I may complain when she stops 500 times in a hike to take pictures, but she does it for a reason, to preserve the past. I am glad she holds onto those old things. I suppose one reason we hold onto things is because they hold memories for us. I recently went and organized my cable and computer parts drawer. The drawer is actually several boxes of cables, power cords, and random computer parts I have collected over the years. They take up space, but I keep them because every few months I run into a situation where something weird needs to be connected to something else. Inevitably, I dig into my parts drawer and am able to find something that will work. Another reason may we hold onto things is because we think they might be useful in the future. My family recently moved to Japan. As I was cleaning out the garage ahead of the move, I found a large number of things that had been placed in the garage to be “dealt with later.” The number of things that fell into that category is directly proportional to the number of years we had lived in a certain location. Some of them held memories, some of them were useful, and yet the vast majority of those items were useless. The were only there because of the law of inertia – an object at rest will remain at rest unless acted upon by an outside force. Sometimes the things we hold onto only exist because we have not yet decided what to do with them, or simply have not exerted energy to remove them from our lives. When I moved to Japan, I purchased a van to transport the kids around. I purchased this van from a family while I was staying at the Navy Lodge awaiting government quarters to open up. The other family had the van for years. It was dented and it was missing two hubcaps. In short, it was old – but it ran and it was cheap. Given that we will likely have to sell the car when we leave in a few years, that was exactly what we were looking for. To my great dismay, the radio did not have an auxiliary port, let alone Bluetooth. I usually use streaming services from my phone to play music and use the GPS off my phone to navigate. I bought a holder for my phone to solve the GPS problem, but I had to dig deeper into my shipment boxes to listen to music. Eventually, I was able to find several Casemate CD cases that still had my old music in them. If anyone has some tapes they would like to donate to the cause, the car stereo will accept those too. Sometimes we hold onto things because even though technology has moved on, we are forced to use old technology based on owning old technology that is compatible only with only other old technology. I stopped buying CDs right after Britney Spears seminal album, “Oops!… I Did it Again. ” The problem I am running into right now is, if I want to buy new music to explore Japan by, I have to pay a premium to get a CD of that album. Right now, Adele’s album “25” is selling for $11.88 for the CD and $10.99 for MP3. If I use a subscription service, I can listen to “Hello” for pennies per play. I can set up an Adele music station and have non-stop Adele, 24 hours a day, for $8 a month. I accept that I have to pay a premium and maintain old technology because I have made a choice to have an inferior experience. I am enjoying the nostalgia of listening to old Albums I was listening to the Pantera’s 1990 album “Cowboys from Hell” coming home tonight if you think you have my music tastes locked down. But, as I slid the CD from its case, looked at the case art, and heard the whir as the CD was pulled into the CD Player, I suddenly realized how far the world has come since that album first came out on Vinyl, Audiotape, and the new Compact Disc format 25 years ago. The album was also released in a Limited Edition format that came in an extended box. The extended box “Limited Edition” was a very common thing to do around 1990. The reason for this relates directly to the fourth reason we keep things around- because we are constrained by old technology. An average music shop in the early 1990s displays were likely built in the late 1970s to mid 1980s. At that time, there were three dominant music formats – Vinyl albums, audiotapes, and 8-Track. As tapes and CDs took over, the 8-Track format faded away, leaving shops with large numbers of open 8-Track display shelves. If you try to put a CD in a 8-Track display, the album cover art will not show. The 8-Track format was incompatible with CDs. So, Record Companies, vying for store display face extended the packaging of CDs leaving one half of the CD case empty. These “Limited Edition” CD’s could be put into 8-Track Displays and extend up and over the lip of the display. Of course, the consumer paid a premium for this empty space, and a solution developed to fit an older standard. 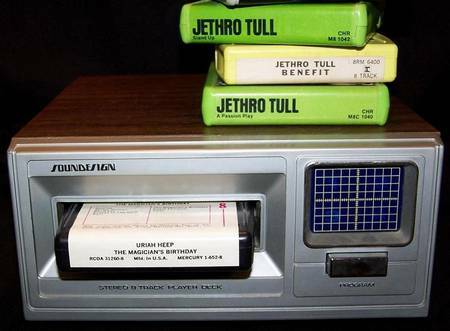 8-Track Player and Jethro Tull 8-Track cassettes. Aqualung! Today, there are plastic, reusable extenders that are integrated with anti-theft devices that hold the few CDs still for sale in music stores. DVDs and Video Games that have the same form-factor for the disc, have rectangular cases that extend their album art up above the edge of the store shelves. There is likely several million kilograms of excess plastic that has been used on packaging material just to overcome a carpentry standard set for a technology that died off in the 1970’s – almost a half century ago. Sometimes we hold onto things because it is just the way we have always done it. Today, I was working my way through writing a requirements document for future Navy systems out here in the Far East. I read through the documents the Pentagon provided me of their proposed way forward, and while they were very well done, I was left uninspired. The work done to design this future system was solid. All the key phrases and future buzzwords were in their right place. Still, I was left with the feeling that no matter what the intent was, too many resources would be spend in trying to hold onto old things. Just like the story about the reason why DVD covers are rectangular, our military systems are bound by design decisions that were made 30-50 years ago. Many of these systems work on operating systems that no longer exist, or are no longer supported. Their key requirements documents were built in a world without iPhones, user interfaces were the blinking green screen on an Apple II. Commercial Industry had to give up these older formats to survive in the competitive world of electronics. The military largely did not. The story of why these decisions were made may largely be lost. The Navy has a tradition of making do with problems without complaint. We buck up and sailor on. Policy and process, important to maintain safety and coordinate complex operations, also serves to prevent new ideas from being implemented. A culture of accepting process issues and using manpower instead of engineering to fix these issues does not do well when human resources become constrained. Worse yet, old systems, like the difference between buying a CD,buying an MP3, or streaming music, generally have a premium attached to them. We pay more to maintain old, out of date things. Nostalgia is fine for photos, cars, and favorite albums. In warfare, nostalgia can be deadly. When we purchase new platforms and find they are equipped with legacy technology, just like my van, we constrain ourselves to legacy technology. The technology to stream audio from my cell phone exists, and even self driving cars are on the road due to a simple software upgrade. My 2003 Toyota Noah will never be able to accomplish either. 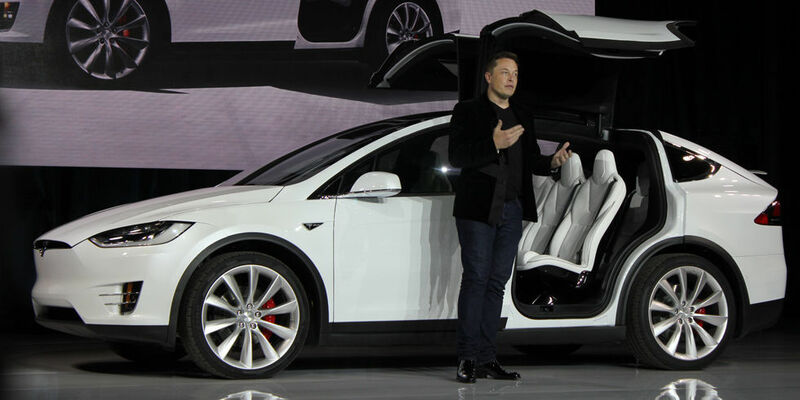 Tesla X and Elon Musk – Not constrained by nostalgia for old things. I get it, we have invested time, money, and careers in our Fleet. We have a natural inclination to feel nostalgic for, and assign value to, those things which we have invested in the past. It may be that we are just filling our garages full of stuff we don’t need. We are trying to make a 2003 Toyota Noah into a 2015 Tesla X. The reality is, to do that, we either need to sustain the old technology alongside the new ones, invest more money than the Toyota Noah is currently worth in upgrading each one of its systems of systems until there is no Toyota Noah left – a slow, and likely impossible undertaking. Alternatively, the vision for the Tesla X could be limited. We could install and field less capable systems because we know how to build a Toyota Noah, and derivatives of it are safe and already approved. 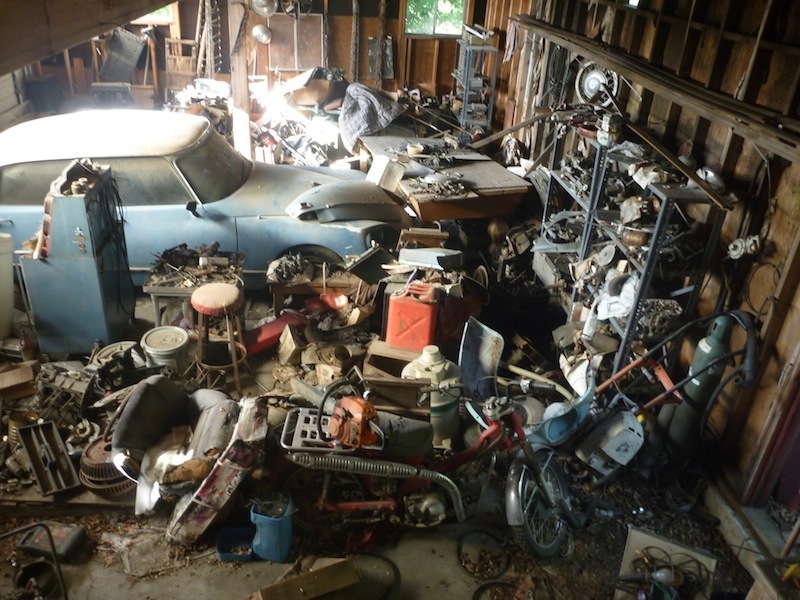 The better option, and the one that I will be recommending in our requirements document, is to do the work to clean out the garage. The old stuff – those things that we have worked with in our daily lives, those things we are comfortable with, and yes, those things that have sentimental value – they are the things that are holding us back. They make us fit the product we desire into constraints we no longer understand. The engineering slate should be wiped clean. Previous requirements documents should be held in respect, but discarded in lieu of being able to have a clean garage we can park a car in. In addition, our way of doing things, our policy, processes, and culture should be looked at critically. Here in Japan, leading up to the New Year, Japanese families discard their old stuff, either placing it on the side of the street, or by selling it at temple bazaars. In doing so, the family can enter the new year unencumbered by old things and ready to build anew. It is my New Years wish that we are all able to see old things for what they are and remove those things in our lives that are excess or stand in our way of moving forward. I wish you fond nostalgia, but a prosperous future. I wish you joy in letting go, and pleasure in discovering new things. I encourage senior leadership to speak openly with the whole community and seek out and promote ideas and engagement based on the merit of the idea, not on the rank of the individual. I encourage mid-level leadership, especially those at the O-5 to O-6 and E-7 to E-9, and GS-15 level, to actively work to remove barriers to innovation by cleaning our the systems and policy garage. Senior leadership should provide the top cover for these leaders to make hard decisions, challenge ivory castles, and break rice bowls. I encourage the O-1 to O-3 and E-4 to E-6 and civilin deckplate leaders to challenge leadership with new ideas and make them real through hard work. Match each complaint with a solution and action to change things. Find a mentor, remind them they have the power to help you. Remind them what it is to be full of hope and willing the change the world, then show them with their help, you can. For the sailors and civilians just entering service. Your greatest strength is not knowing how it works yet. Challenge the status quo, but learn from your LPO and Chief. Ask why, but do the work to understand the answer. For the retired cryptologists reading this, thank you for everything. When we remove old things that don’t matter, we are left with those things that do. Each one of you who has stood the watch is connected to the next generation that will stand the watch. It doesn’t matter what systems we used, or if how we did them changes. It is about the cryptologist, not the system. In the New Year, help us understand the past, and use your knowledge to drive us to the future. 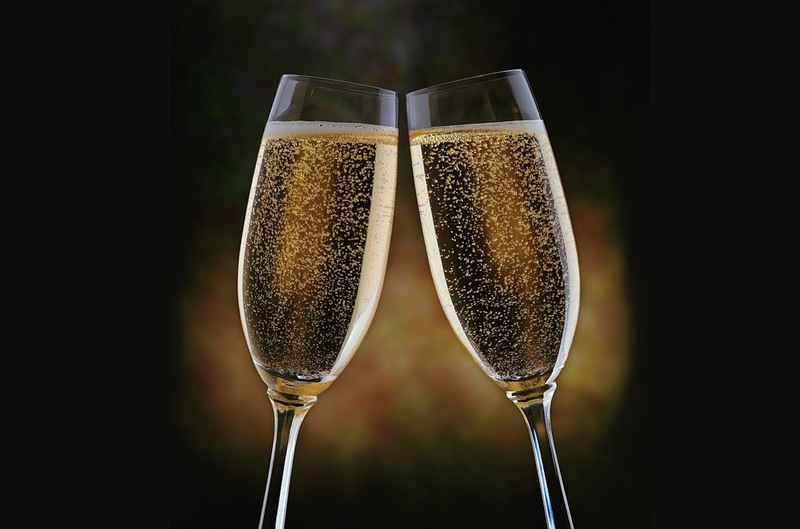 Happy New Year Station Hypo – Here’s to the Future!